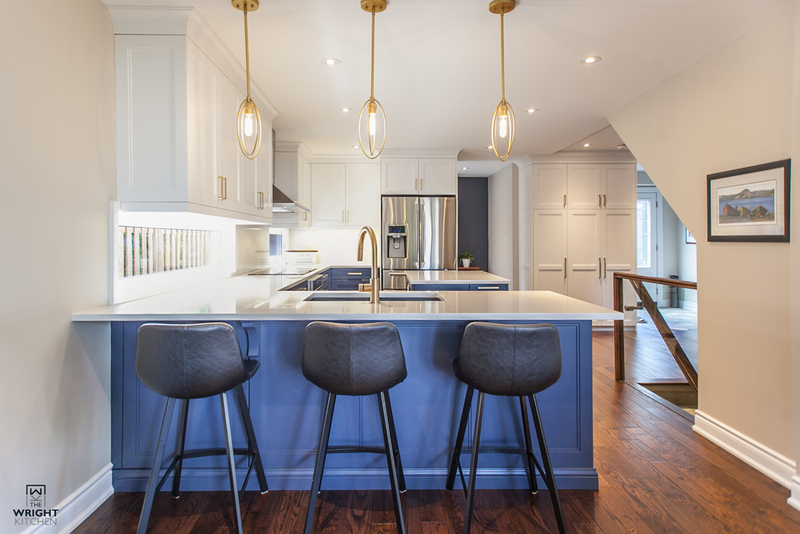 Through a personal referral from a past client, we were introduced to this Mississauga family and their fantastic Architect Robyn Huether. 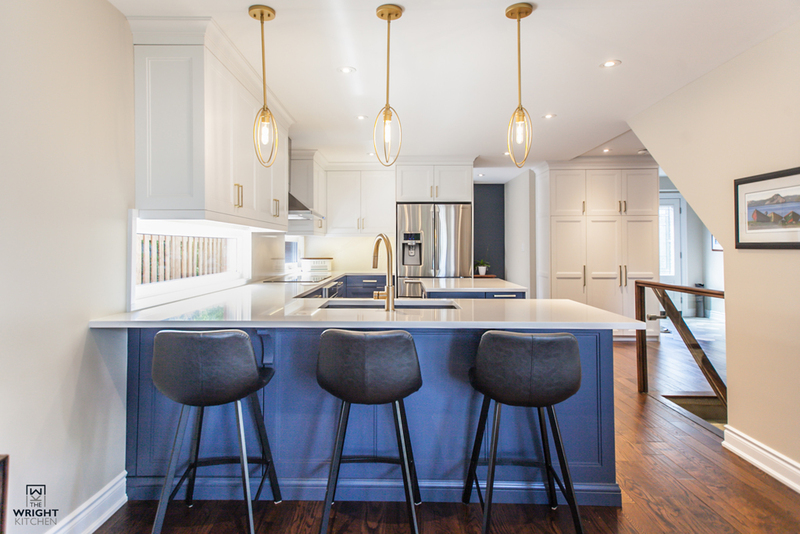 The overall project was planned and designed by Robyn and included the complete renovation of the entire home. 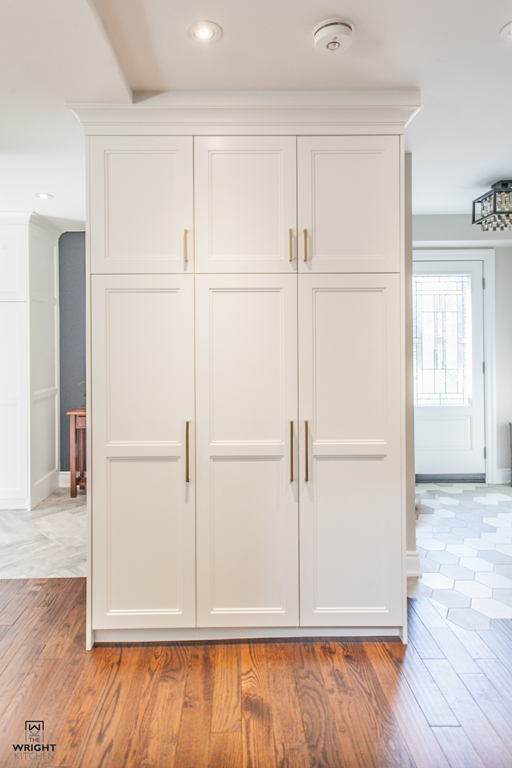 The Wright Kitchen was brought in to design the Millwork for the main floor kitchen and mudroom area. 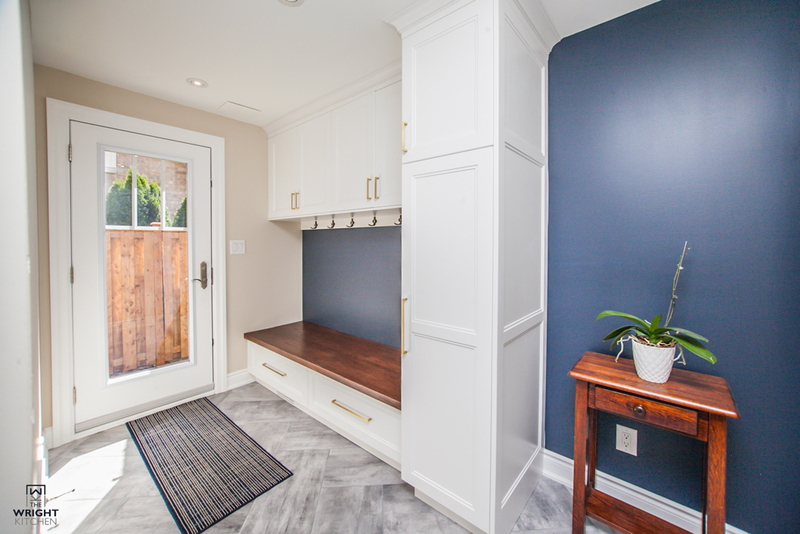 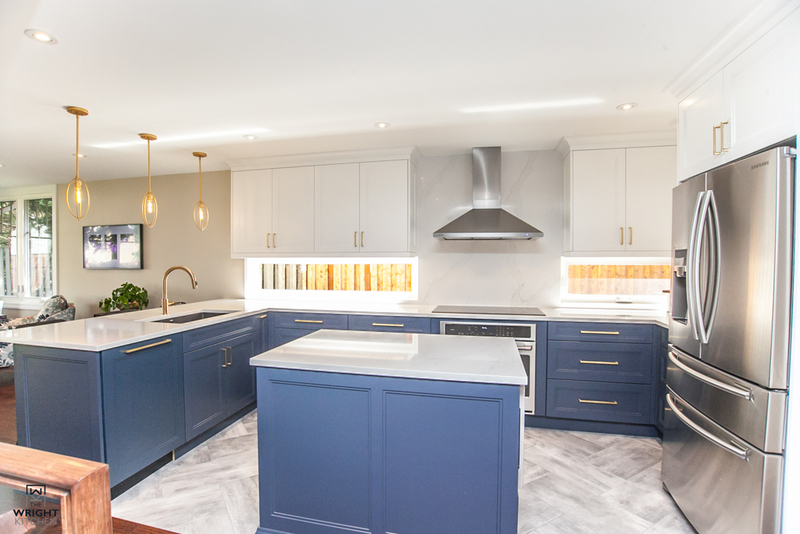 The inspiration came from the overall colour theme and finishes of the other rooms as well as the open concept space and linear windows under the upper cabinetry. 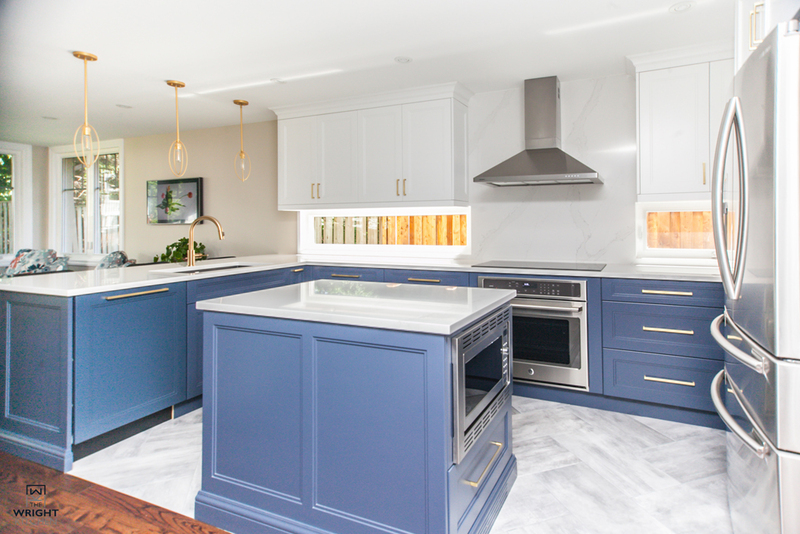 The balance of Hale Navy base cabinetry and white tall and upper cabinetry contributes to the openness and clean neat finish of the space. 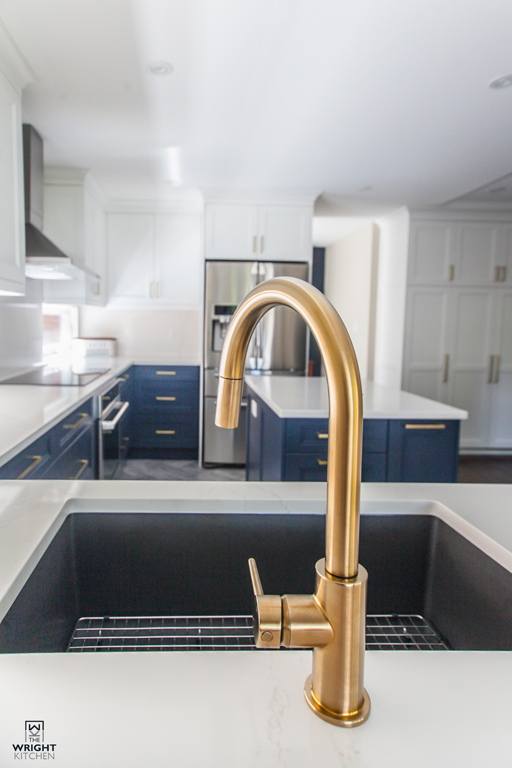 The gold fixtures and hardware create a rich finish and sense of timeless elegance. 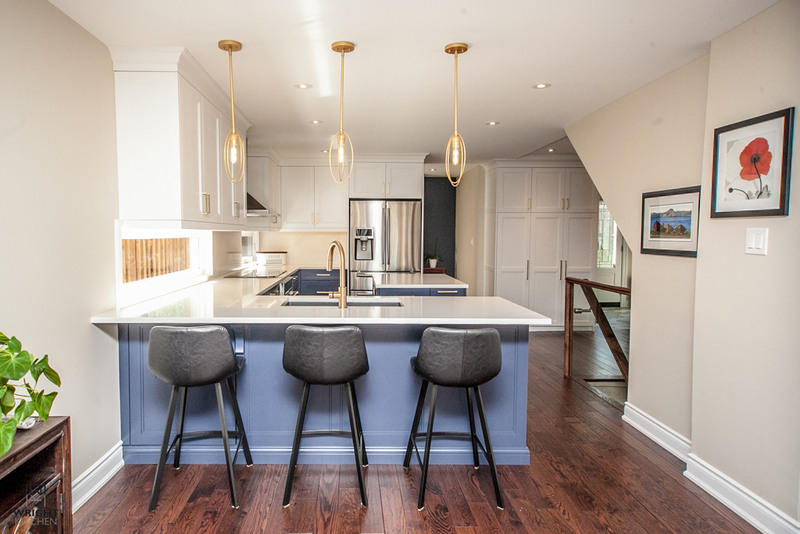 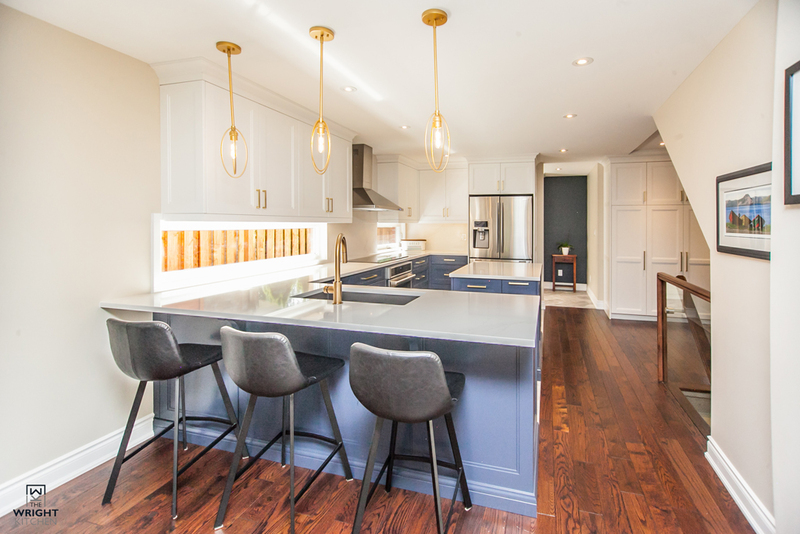 It was a true pleasure working with these clients and their architect Robyn Huether as our teams connected well on timelines and deliverables and the project was a huge success. 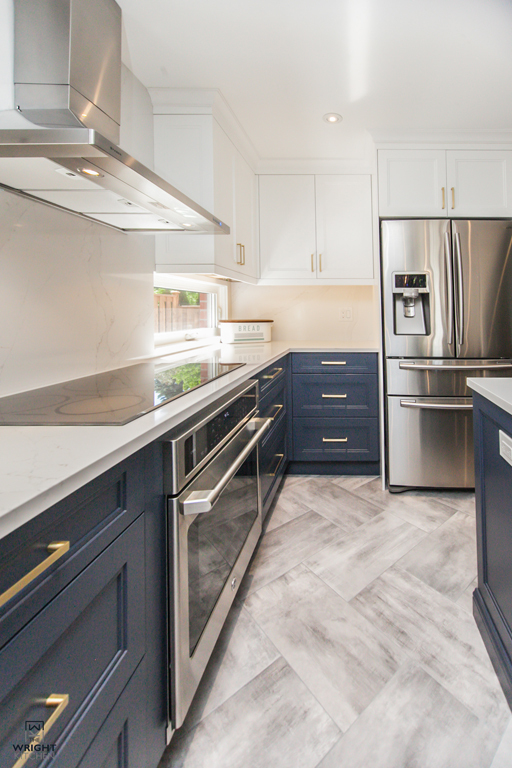 These clients have since referred us to another opportunity which we hope to feature in 2019 as another Project of the Month!